The RTX 2060 is a more favourable option for gamers wanting a slice of the DXR action without having to break the bank and ROG’s variant of this new GPU is an exciting version which maximises in all of the key areas – performance, low-noise and low-temperatures. The Direct CU III cooler has played a pivotal role in GPU production for a number of years and it has no problems in tackling the demand that an RTX-20 series graphics card throws at it. Not only does this thermal solution generate little noise but it also shaves off a respectable 10 degrees when comparing to NVIDIA’s Founders Edition – proving how efficient the overall design really is. Out of the box, the STRIX RTX 2060 Gaming has a decent factory overclock applied to it – but only the GPU clock has been adjusted, the memory sits at default frequencies. In the real world, a small nudge in GPU clock speed provides us with between 4-8 extra frames, had ASUS pushed the envelope a little, we could benefit from even greater performance as noted in our manual overclock in this review. We managed to nudge up both the GPU and memory clock speeds quite significantly, highlighting how much headroom there is and that with such a modification, there are considerable performance gains to be had. Being a ROG graphics card we have some additional features to take advantage of – the build quality is decent, the RGB lighting is extensive and the extra touches are useful. We get a dual BIOS switch, handy on/off lighting button, an RGB header and fan connect headers too. 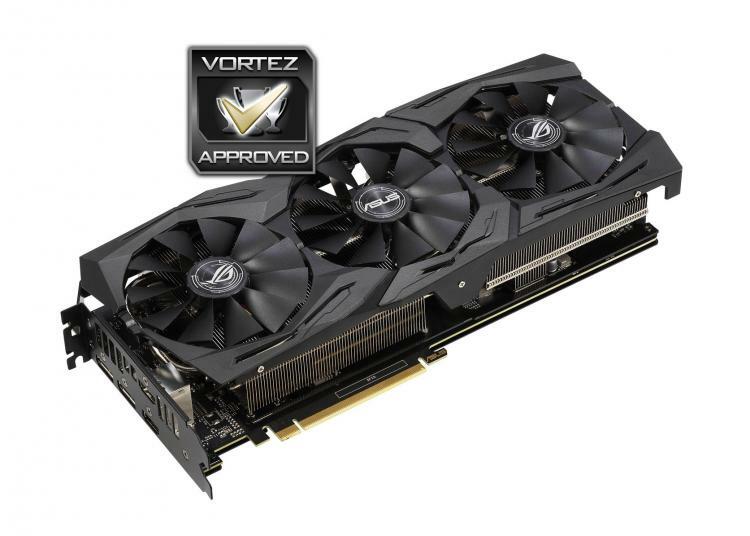 However, we do have some reservations – the pricing on this model pushes it up as one of the most expensive RTX 2060s on the market. Priced at £428 GBP - $420 USD - $699 AUD, STRIX OC will have some fierce competition from other custom RTX 2060s, especially when those graphics cards can probably be overclocked to the same specification, for $100/£100 less. The ASUS ROG STRIX RTX 2060 Gaming is a great choice for 1080p/1440p gamers wanting a slice of next-gen features, but, pricing compared to other custom models may steer some away.